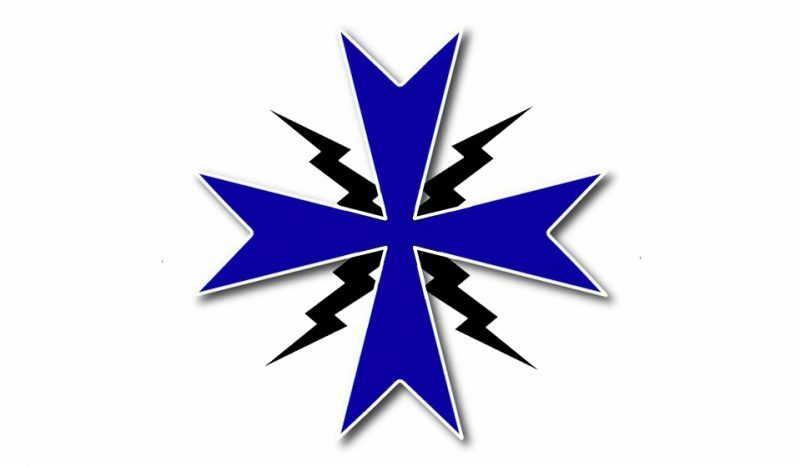 Request for Admission to BCT for US Citizens/Nationals – Ordo Militaris, Inc.
Ordo Militaris, Inc., the private military corporation (PMC), which was founded by the Catholic religious association « Ordo Militaris Catholicus » to serve its members, will be offering as soon as practically feasible, a Basic Combat Training Program (BCT) for men, with no prior military training, who wish to serve with the PMC in a security or military role, as part of its work to defend, liberate and provide for the security of Catholics and other Christians who are persecuted for being Christian. If you would like to hear our Recruiters talk about this program, listen in to Ordo Militaris Radio’s Broadcast from July 4, 2017, featuring the 27 yr US Army Vet, Greg Carpenter, and Br. Alexis Bugnolo, President of Ordo Militaris Inc, as interviewed by Ordo Militaris Radio’s Host, Andrew Baalman, by clicking the image to the left. Since the military formation of foreign citizens is classified by the US State Department as a export of military defense services, Ordo Militaris Inc., is not yet offering the BCT program to non-US citizens or nationals. Therefore, at the present, what here follows is intended only for US Citizens or Nationals. 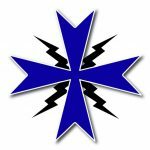 The nature of the Basic Combat Training program to be offered is to be one designed to revive the Catholic ethos, spirit and manner of Christian discipline of the Crusaders, as part of a standard Basic Combat Training program as is offered by the US Military. Candidates will be required to participate in physical, educational, and religious exercises which will test their body, mind and spirit and form them to work collaboratively in military and security roles according to the rules and regulations of the PMC. Military training is intended to be at the same levels of the US Army, and will require the candidate to undergo many hours of extreme physical exertion and psychological stress, for which the candidate alone will be responsible and for which he will agree to fully indemnify the PMC, its volunteers, employees and officers against any injury or harm or legal claim. The BCT program will last approximately 12 weeks and be conducted domestically within the territory of the United States of America. Candidates will be expected to live continuously at our training camp during this period and should expect no leave or free time during this period. A request for admission to our BCT is open to all able bodied US Citizens who meet the requirements or our Religious Association as expressed in the spirit of our Rule. Criminal record of any kind, whether as an adult, or as a minor. Conviction for any drug offense. Any notable impairment of mind or body. Been the member of any secessionist organization. Been the member of any criminal gang. Spoken or acted against the Catholic Religion or Catholic teaching regarding any aspect of faith or morals. Any affiliation with a group espousing Islamic Supremacism, Racism, or which advocates ethnic or religious cleansing. Not willing to undergo a background check, drug check, physical or psychological examination to determine their fitness. Has lost his right to bear arms in any state. All who desire to apply for the BCT program, must complete fully the REQUEST FOR ADMISSION TO BCT form, and mail it by surface mail to our Montana Headquarters (See Contact page for address). The purpose of the Request Form is to enable the PMC to determine the basic suitability and willingness of the potential recruit. The fee to submit the Request form is $25 USD, to be sent with the completed form when it is mailed. The fee may be paid in cash in US currency or by check (bank, postal, money order) to Ordo Militaris, Inc.. Personal checks will NOT be accepted. The expected program cost for the 12 week-long BCT has a commercial going rate of $35,000-65,000 USD. However, depending upon the manner of service which the candidate will pledge, the payment varies. The fee for BCT is NOT to be paid now, but only later if the candidate’s request to apply is accepted. All candidates will be required to pay their traveling expenses in the USA to arrive and depart from BCT. Men of will are those who pledge to serve in the Order for a given number of years at entirely their own expense. As such, since yearly expenses are likely to require the candidate to pay approximately $15,000 to upkeep himself and his military equipment, if he pledges and fulfills 2 years of service with us, he will be required to pay only a fee of $15,000 to take our BCT program. Men of will, being the highest military grade of service in the Order, will hold the priority in all promotions and honors and have first say in the government of the Order at those times and places in which they are admitted to participate in decision making processes. Men of lists are those who pledge to serve in the Order for pay, which will be remunerated to them at standard rates of the US Army commensurate with their grade of service. Since the basic army pay for grunts is approximately $20,000 a year, the Order will allow candidates who pledge to serve as men of lists to pay in part for their BCT program by a deduction from their monthly pay during the 2 years of service which follows BCT and in part to be reimbursed. For that reason, Ordo Militaris Inc. will require candidates pledging as men of lists to pay $10,000 to take our BCT program and will deduct the remaining $35,000 from their pay in the following 2 years of service. Men of lists are the lowest grade of service in the Order, and as part of the adherence of the Order to the International Protocol against the Recruitment, Training and Use of Mercenaries, will be employed only in cases of necessity, wherein the good of our clients or our enlisted men require military experts for their command, training, defense, support, supply, transport and/or medical care or legal representation. Men of service are those who pledge to serve in the Order at the expense of the Order and who forgo pay. Since their service in the Order will accrue to the general economic viability of the PMC, the fee for BCT will be waived if they complete the course successfully. If they do not complete the course successfully they will be required to pay $5,000 for the course, in monthly payments as contractually agreed upon prior to beginning the course. To ensure that this form is distributed only to human beings, you must press the button below to obtain a copy and supply a valid email. Upon completion of the electronic form, you will be sent an email (check you Spam folder) with a link through which to download the REQUEST FOR ADMISSION TO BCT form in PDF format. Complete the Form using Adobe Acrobat’s Fill & Sign functionality and then print out and mail to our office by surface mail. Or, print out and fill in by hand or typewriter with black ink. Click the button here twice! NOTE THAT SUBMISSION OF THE REQUEST FOR ADMISSION FORM CONSTITUTES CONSENT TO UNDERGO A BACKGROUND CHECK and allows the Corporation to keep that and such personal information about your person as is necessary to conduct its corporate activities before, during and after your term of service with the Corporation. Read the form completely before filing it out, and consider the matter carefully before mailing it. *The PMC retains the right to revise and alter its fees at any time, due to any change in circumstance whatsoever.